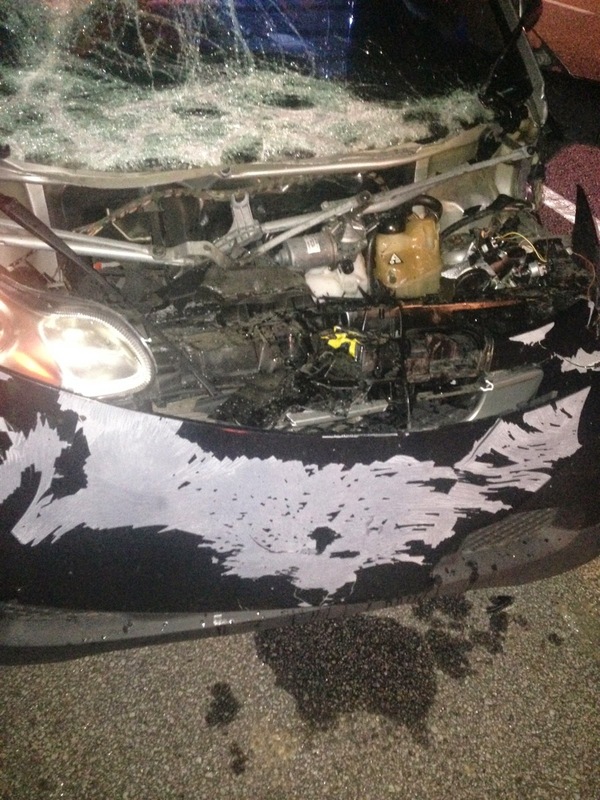 The above is a picture of my car post confrontation with a 6 point buck in the middle of I20 at 1am. So I've missed a little bit of training time. I came through it mostly ok, but the car is totaled. I won't be back training Jiujitsu until after thanksgiving, but I was able to get in the gym tonight to do some prehab-rehab. I did half an hour on an elliptical, then 3 sets of 10 with 65 lbs on the bench, and 1 set of 10 with 45 lbs along with 3 sets of 10 squats with 115 lbs. Just enough to assess all of my limbs and make sure everything still worked properly. Followed that up with a 20 minute massage and now I feel like life is pretty good. I'm still going to be competing at the New Breed tournament Dec 6th no matter what.